Is It Safe To Eat Imitation Crab During Pregnancy? Is sushi one of your favorite foods? Are you a great fan of imitation crab? Are you wondering if it’s all right to eat imitation crab during pregnancy? If you’re looking for answers to these questions, then reading our post may help you. Pregnancy is an exciting time for to-be-mothers. You are more likely to pay close attention to what you eat now than before, especially if you’re a seafood lover. 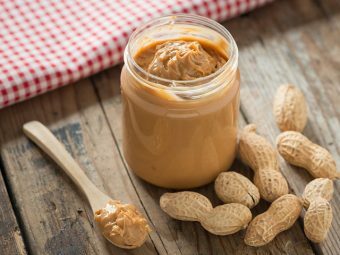 While seafood supplies you with all the essential nutrients, certain types of sea goodies can pose a danger to your unborn baby. But what about imitation crab? Is imitation crab safe during pregnancy? What does it contain? Will it harm my baby in any way? Read along to find out! An imitation crab is a form of Japanese fish cake made from blending processed surimi with flavorings, colorants, and ingredients. Making imitation crab involves rinsing, skimming, grinding and cooking into an odorless paste. The makers then cut the paste into strips to resemble the leg meat of the crab. In a nutshell, imitation crab gives the yummy taste of crabs without burning a hole in the pocket. And it is readily available at most of the supermarket and grocery stores. Can You Eat Imitation Crab While Pregnant? We would suggest you to consult your gynecologist before including imitation crab in your diet. Imitation crab is neither entirely safe nor unsafe to eat during pregnancy. It has both benefits and side effects, and it depends on how your body reacts to it. The safety of imitation crab also depends on the type of fish used to make it. Let’s check out the advantages and disadvantages of imitation crab. Imitation crab is low in fat and calories, which makes it a great addition to your diet if you’re watching your cholesterol. 3 ounces of imitation crab contains 1 gram of fat, 81 calories and 17 milligrams of cholesterol. A low-fat and low-calorie food will also protect you from chronic diseases. Mercury is a contaminant found abundant in certain species of fish. It can negatively impact the nervous system development of the baby. But imitation crab is quite low in mercury, only if it is made of surimi. Imitation crab contains a hefty dose of phosphorus. Phosphorus makes 1% of our total body weight. It is present in most parts of our body, mainly teeth and bones. Phosphorus aids in the proper functioning of muscles and kidneys. It supports healthy nerve function and keeps the heart beating regularly. The recommended daily allowance of phosphorus is 700 milligrams a day. 3 ounces of imitation crab will supply you with 240 milligrams. Why Is It Not Safe To Eat Imitation Crab During Pregnancy? One of the primary nutritional drawbacks of the imitation crab is the amount of salt it contains. 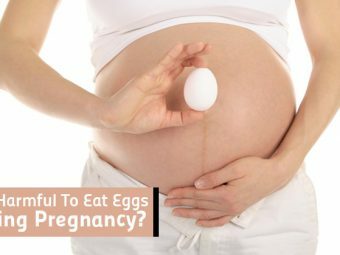 While the doctors recommend increasing sodium intake during pregnancy, but anything beyond the permissible limit is unsafe. A three-ounce serving of imitation crab contains 715 milligrams of sodium. The recommended upper limit of sodium intake is 2,000 milligrams a day. Excess levels of sodium in the body can increase the risk of stroke, high blood pressure, and kidney diseases. Imitation crab has a low protein content. A 3 ounce of serving of imitation crab contains just 65 milligrams of protein. 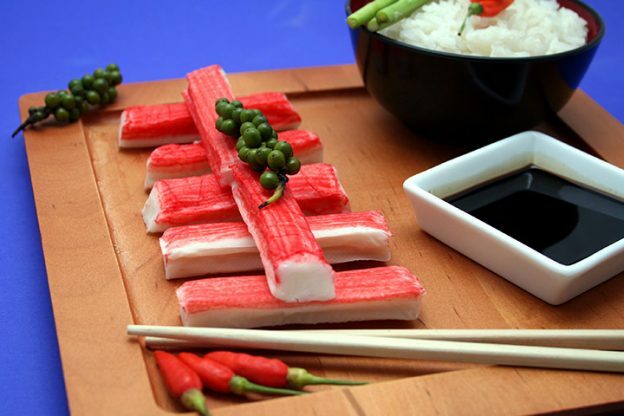 A stick of imitation crab contains a large amount of carbohydrate, around 12 grams per 3 ounces. The high carb content is unsuitable for women suffering from celiac diseases. The imitation crab contains additives, MSG, and other preservatives, which can harm you and your baby. And it contains excess sugar, making it unsuitable for women suffering from diabetes. Always read the ingredients list on the label to determine what kind of fish it contains. Please avoid imitation crab that uses king mackerel, swordfish, marlin, orange roughy, and shark. If it contains shrimp, crab and lobster, then you can eat it twice a week during pregnancy. Never eat raw or undercooked imitation crab. Undercooked or raw imitation crab can harbor bacteria, especially Listeria. It can pose extreme danger to you and your fetus. Cook the imitation crab at 145 degrees or above to destroy all the bacteria in the imitation crab. Do not eat imitation crab that has been lying open for more than three days. It might have harmful bacteria. Remember, pregnant women are 20 times more susceptible to catch diseases than any other healthy adults. If you are eating imitation crab at a restaurant, then ask the chef what fish he uses before ordering. Combine imitation crab with herbs and mayonnaise to make a delicious sandwich filling. Toss chunks of imitation crab in a green salad. You can also add pieces of it in vegetable soup. Stir diced imitation crab in low-fat sour cream or Greek yogurt and then sprinkle some herbs and pepper to make a yummy dip. But make sure you watch your portion size to keep the sodium intake low. Here is an easy imitation crab recipe for you to follow. Combine rice, eggs, and imitation crabmeat in a large bowl. Stir in mayonnaise. If the salad looks dry to you, then you can add some more mayonnaise. 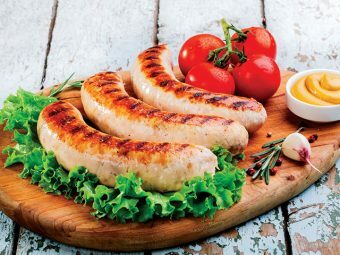 Cover and refrigerate overnight and serve with brown bread toast. So go ahead and gorge on this tasty fish, but only if your doctor allows you to. Did your doctor allow you to eat imitation crab during pregnancy? What all guidelines did he ask you to follow? Tell us in the comment section. Is It Safe To Eat Calamari During Pregnancy? 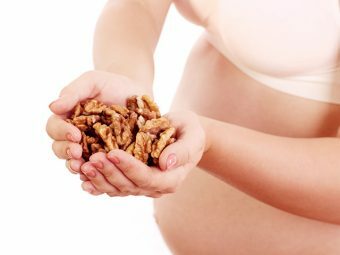 Is It Safe To Consume Oysters During Pregnancy? 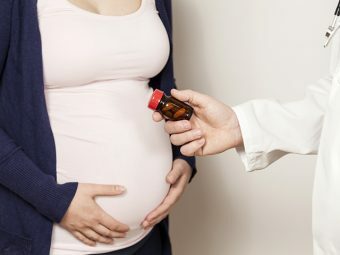 Can You Take Acyclovir For Herpes Infection During Pregnancy?